The U.S Constitution was written after a long war for the civil liberties the colonists had been denied by an oppressive monarchy. Within this sacred document the founders inscribed an amendment granting law-abiding citizens the right to bear arms because they believed each person should be given the freedom to protect their families, defend their properties, and provide food for their loved ones. Today, millions of people across the country secure a gun license and purchase firearms for the same reasons. The Second Amendment is a timeless right that is part of who we are as a nation, and it is a right I stand by wholeheartedly. Unfortunately, “today” is a whole new world with its own set of threats; illegal gun trafficking, armed-robberies, and, more recently, mass shootings. Each tragedy saddens and angers us, often leading to a renewed conversation about gun control, mental health and public security. These unthinkable events also have the consequence of partisanship and finger-pointing, which can lead us away from a productive conversations and real solutions. Recently, the Judiciary Committee held a public hearing on a number of gun-related proposals. I testified in person on H.B. 5227, An Act Concerning the Regulation of Firearms by Municipalities – a bill I introduced. H.B. 5227 would prevent any town or city from enacting gun legislation more restrictive than what is currently written in federal or state law. 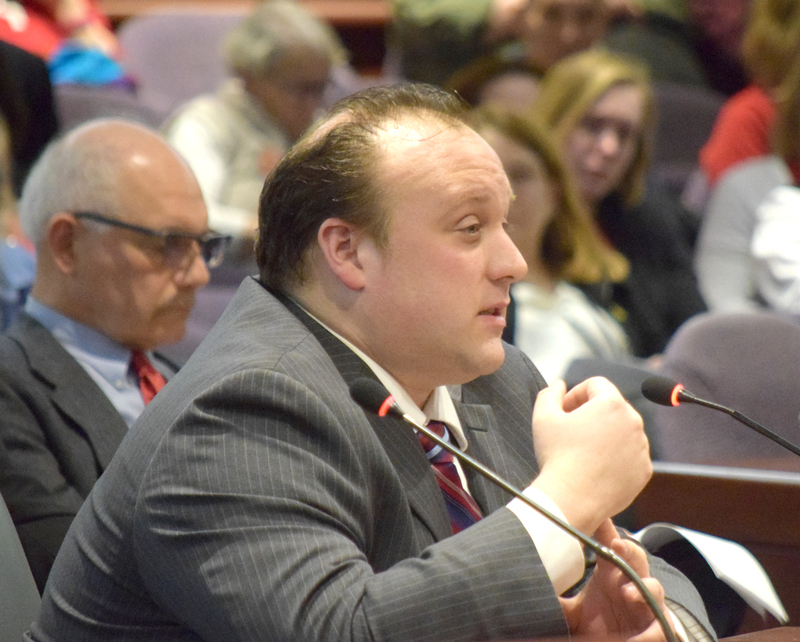 The purpose of this bill is to keep gun laws consistent across Connecticut. What is permitted in one town should not be illegal in a neighboring municipality. Inconsistent laws and ordinances create a challenge for law enforcement and responsible gun owners alike. How can we expect someone to be familiar with the individual rules in each of Connecticut’s 169 local governments when there is so much discrepancy? Yes, I believe in local control; however, the right to bear arms should not be restricted beyond what is already written in state and federal law. We need gun legislation to be uniform in Connecticut and H.B. 5227 would make this possible. In addition to my bill, the hearing focused on other legislation I could not support, including S.B. 60, An Act Concerning the Presentation of a Carry Permit. These proposals infringe upon the rights of citizens, and do little in the way of preventing gun violence. I am against S.B. 60 because I believe there are more effective ways to protect our schools and other public spaces without criminalizing law-abiding gun owners. We need to address gun violence at its source and take the appropriate measures to secure members of the public, especially our students. This requires more school resource officers who are trained and equipped to protect our kids. They are the first line of defense. Secondly, we must provide more mental health resources for those struggling with illnesses that can lead them to criminal activity. These individuals must receive help before it is too late, which is why I cosponsored H.B. 5642, An Act Establishing a Task Force to Examine A State Funding and Service Disparity in Northeastern Connecticut. When there is any loss of life as the result of gun violence, it is easy to blame the weapon. The issue is complex, and there is no perfect solution. With that said, I believe everyone can come together to have an honest, logical and thoughtful conversation about the role of firearms in our society – one that considers the interests of the public, the security of our schools and homes, and the freedoms granted to all of us within the Constitution of the United States.